We have already talked about street food in Catania, and we have shown you the typical dishes of our city. Today we want to talk about another typical Sicilian dessert of the tradition in Catania, the “crispelle di riso“. 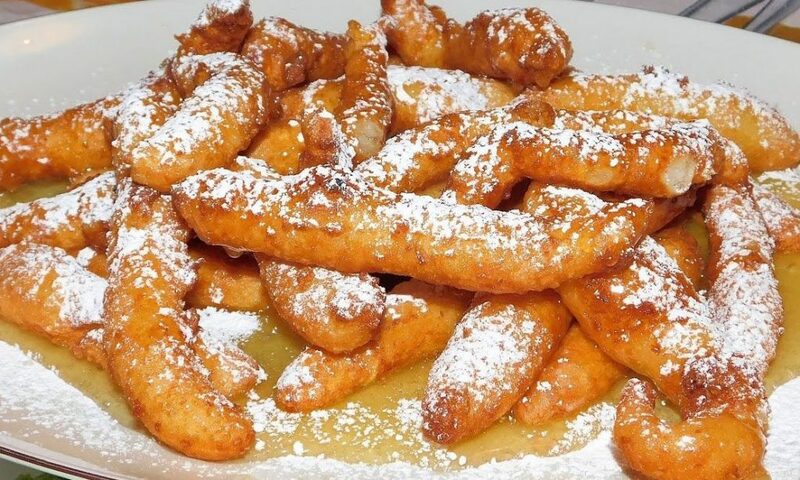 “Crispella” is a dessert that especially in the past was consumed for the feast of St. Joseph, probably because St. Joseph as well as being a carpenter seems to be also a fryer. 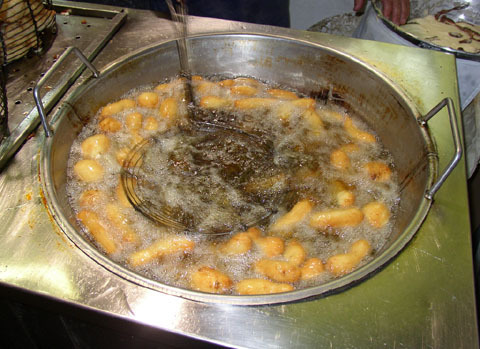 Today there are so many fryers in every corner of Catania that prepare crispelle almost all year round. And it is common to go to the “crispiddari” to buy these Sicilian pastries with which, especially in winter, it is usual to end the Sunday meal. The name “crispelle” ( “crispeddi” in Sicilian dialect) is due to their rippled surface, which also reminds a bit of the rocky aspect of Etna. Based on rice and honey and flavoured with orange peel and juice, they take different names depending on the area of origin, but certainly the best known are those of Catania. It seems that the Benedectine nuns of Catania were the first to make this dessert in the 16th Century. Ancient texts of Catania reporters tell that being very poor the nuns prepared and sold sweets to the inhabitants of the city for living: using simple and easily available ingredients such as rice, milk, cinnamon, citrus peel and orange blossom honey prepared this deliciousness and that is why today crispelle are also called “Benedectines”. Eating a crispella you can perceive all the smells and flavours typical of Sicily: from honey typical of the villages close to Etna to citrus fruits of Sicily. In other words a culinary product that cannot be missed in a gastronomic tour of the city.